Handy 5X5 units are the size of a walk-in closet and ideal for seasonal items, college dorms as well as local businesses needing records or pharmaceutical supplies storage. Larger 10X10 units can usually hold the entire contents of a large apartment or a small house. Our ground-level storage facility in Marietta is just what you are looking for because it offers easy, drive-up access every day of the year. Climate-controlled units are also available. Whether you are bringing your items in a minivan, U-Haul moving truck, or an 18-wheeler, wide drive aisles make loading everything into your storage unit as hassle-free as possible. We also offer exterior parking spaces so you can leave your work trucks and trailers with us at the end of the day or park your RV or boat. Metro Self Storage has been helping businesses like yours create bottom-line friendly storage solutions for more than 40 years. Our professionally operated Atlanta Metro storage facilities are conveniently located, provide state-of-the-art digital surveillance, and extended customer service hours. Growing businesses and downsizing businesses can both benefit from flexible, month-to-month rentals. 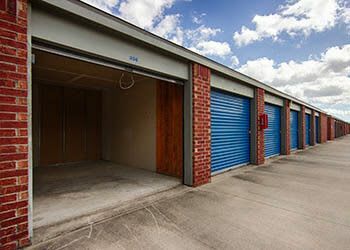 Offering a wide variety of storage unit sizes and rental rates, our conventional and climate-controlled spaces are ideal for storing business records, excess inventory, product samples, pharmaceutical samples as well as landscaping equipment and machinery. With easy online reservations and bill pay, in addition to extended access hours, your business can think of our business as your storage solutions partner. Call us or come see us in person to see how Metro Self Storage is the right choice for your business. Metro Self Storage on Cobb Parkway is situated just North of Dobbins Air Reserve Base. Members of the military can pack and transport their belongings safely and securely with our sturdy moving boxes and a great selection of packing supplies. Reserve your unit or parking space online, or call one of our friendly storage team members who is waiting to provide you with the best storage experience in town.